The Corrie family appeal focuses on serious flaws in the lower court verdict which erred by ignoring and misinterpreting essential facts and misapplying legal norms. The appeal also challenges the lower court’s total disregard of international law obligations as well as procedural advantages that were regularly granted to the state during the proceedings. Lawyers for the Corries and the State of Israel have submitted their arguments in writing to the panel of three justices – Deputy-President of the Court Miriam Naor, Esther Hayut, and Zvi Zylbertal. 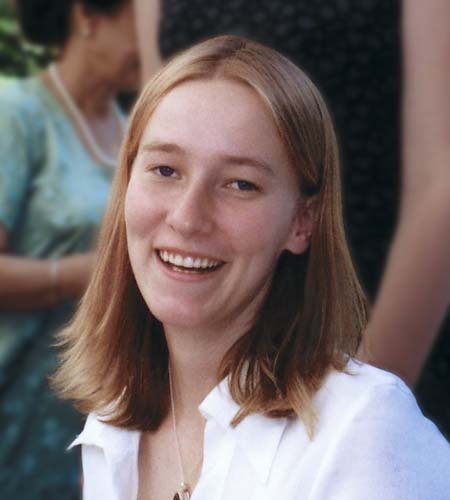 Rachel, a 23-year-old human rights defender from Olympia, Washington, was crushed to death March 16, 2003, by an Israeli military bulldozer while nonviolently protesting demolition of Palestinian civilian homes in Rafah, Gaza. The following day, Israeli Prime Minister Ariel Sharon promised President George W. Bush a “thorough, credible, and transparent” investigation into Rachel’s killing. In 2004, Secretary of State Colin Powell’s Chief of Staff informed the Corrie family of the U.S. Government’s position that the Israeli investigation did not meet these standards and advised them to “use the Israeli court system.” The Corries filed suit in 2005, charging the State of Israel and its Ministry of Defense with responsibility for Rachel’s killing. Testimony exposed serious chain-of-command failures in relation to civilian killings, as well as indiscriminate destruction of civilian property at the hands of the Israeli military in southern Gaza. Four eyewitnesses from the International Solidarity Movement (ISM) testified that Rachel was visible to soldiers in the bulldozer as it approached. Military witnesses testified that they saw ISM protesters in the area; and the on-site commander asked to stop operations due to their presence, but was ordered to continue working. An Israeli colonel testified that there are no civilians in war, and the lead military police investigator, himself, stated his belief that the Israeli military was at war with all in Gaza, including peace activists. On August 28, 2012, Judge Gershon ruled against the Corrie family, handing down a verdict stating the Israeli military was not to blame for Rachel’s death and that she alone was responsible for her demise. The Judge lauded the military police investigation and dismissed the case, adopting the Israeli Government’s position that the military should be fully absolved of civil liability, because soldiers were engaged in operational activities in a war zone. Seating in the courtroom is limited, and members of the press are advised to arrive early with press credentials. Proceedings will be in Hebrew. The family is seeking permission from the Court to provide simultaneous translation for court observers. However, pending the Court’s decision, journalists should make plans to bring their own translator. Cameras and audio recording equipment will not be permitted once proceedings begin. Photos may be taken before the judges enter the room.